We are proud to present you the prototype of our latest product today (a few days before the official presentation): the MyParfum scent bar. In a few days, the MyParfum scent bar will have its world premiere at the renowned Global Art of Perfumery. Our partner stores are already waiting for this new and innovative product. Because of an increasing number of requests from small perfume stores and from branches with small numbers of employees, we have decided to expand our product range for partners. To be more precise, we have developed an iPad station that allows customers to test all scents in the store and to create their own individual perfume on an iPad. The perfume will then be shipped either to the store or to the customer's home. Unlike the conventional version of the scent bar (which will be called "Premium Scent Bar" in the future), the newly developed iPad scent bar can be operated completely independently and intuitively by the customer and does not require any personnel. It is also much less expensive to set up. The shop-in-shop concept has been used in the photo business for quite some time. CEWE successfully established its first CEWE photo stations in copy shops, drug stores, and photo stores. Similar to CEWE, we also distinguish between instant products (Premium Scent Bar), lab products (Scent Bar), and online products (Online Fragrance Designer). Because of these three partner solutions, we have the opportunity to serve almost the entire market. 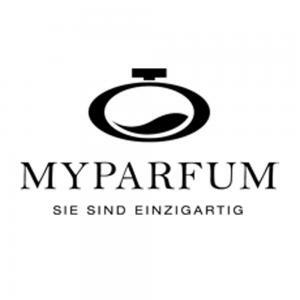 Advance orders are now possible at www.myparfum.de/duftbar. We estimate that the first scent bars will be shipped in 2 months, which is still in time for Christmas sales.